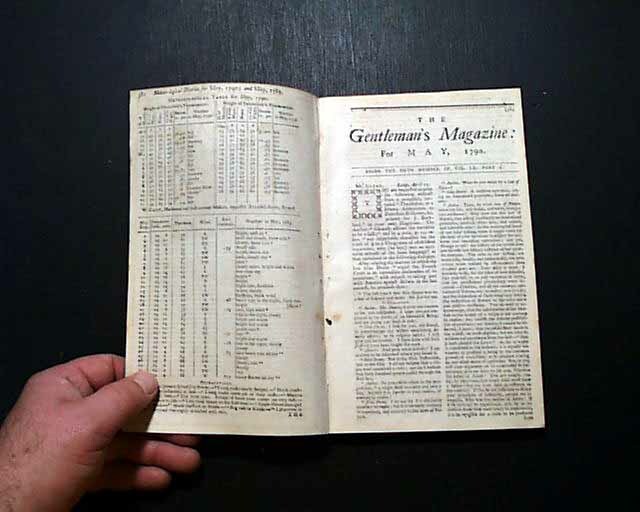 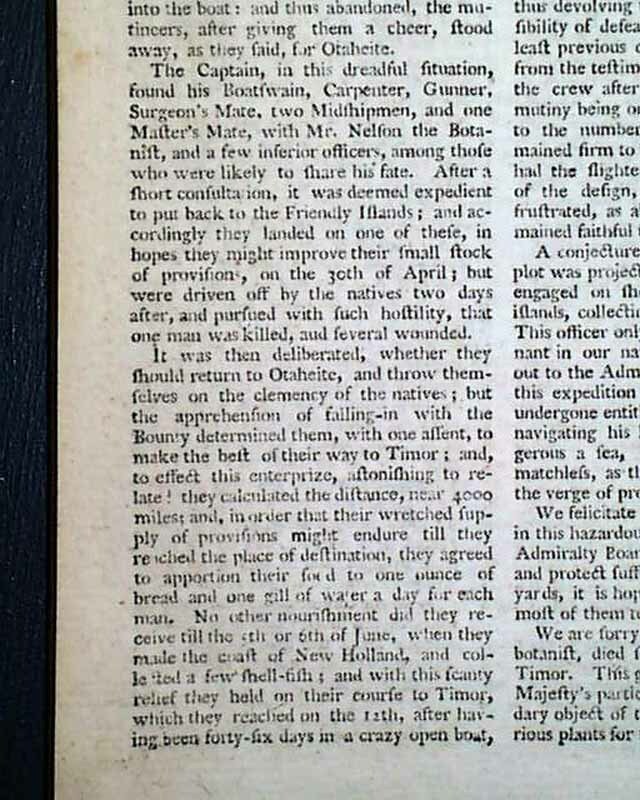 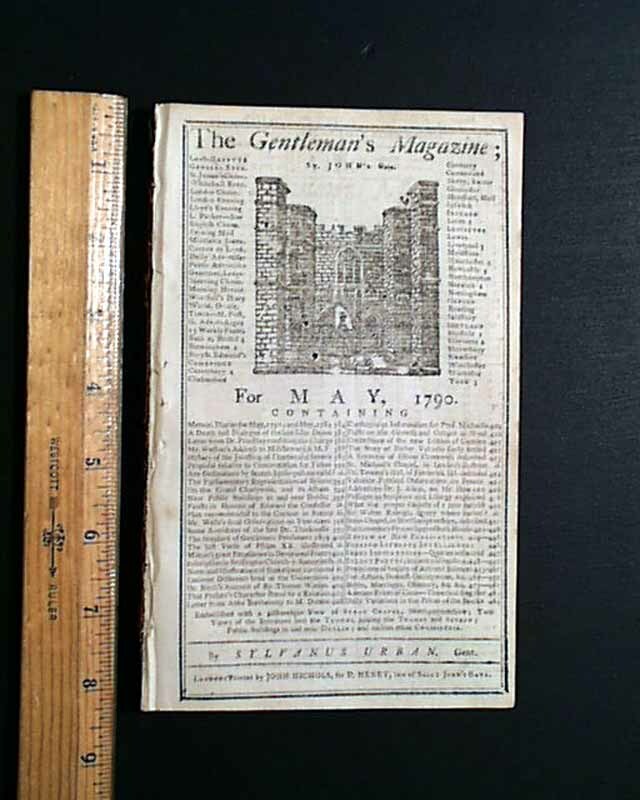 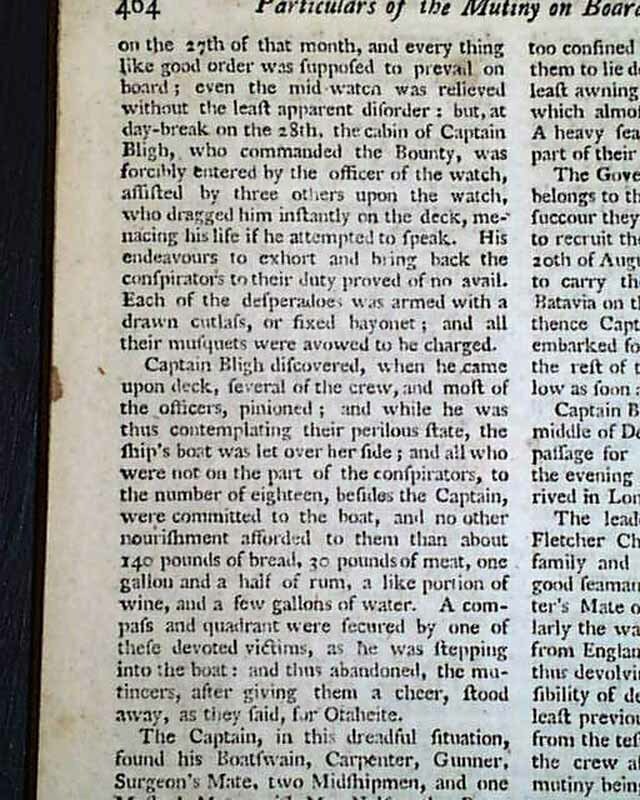 Near the back of this issue is one of the more historic naval report of the 18th century, since romanticized by the famous movie, giving a fine account of the mutiny on board the ship Bounty. 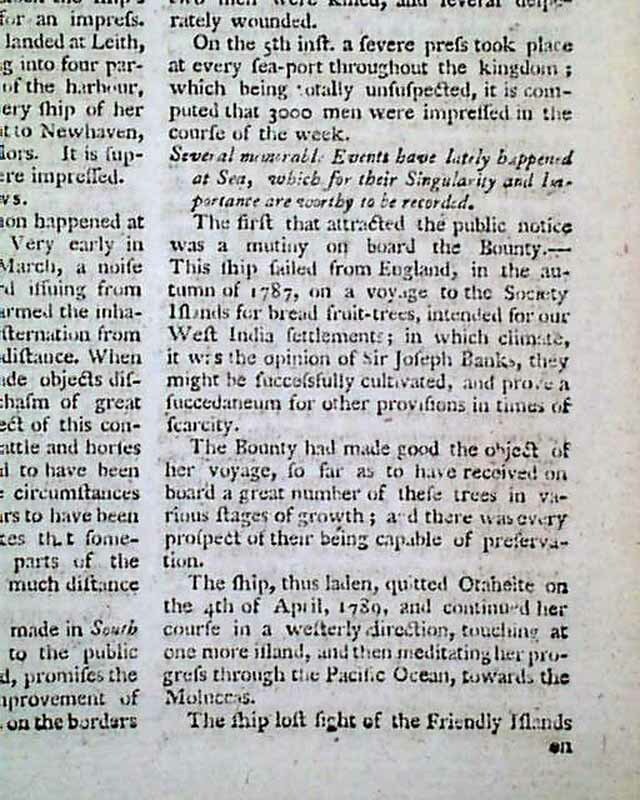 The report is headed: "Several Memorable Events have lately happened at Sea, which for their Singularity & Importance are worthy to be recorded." 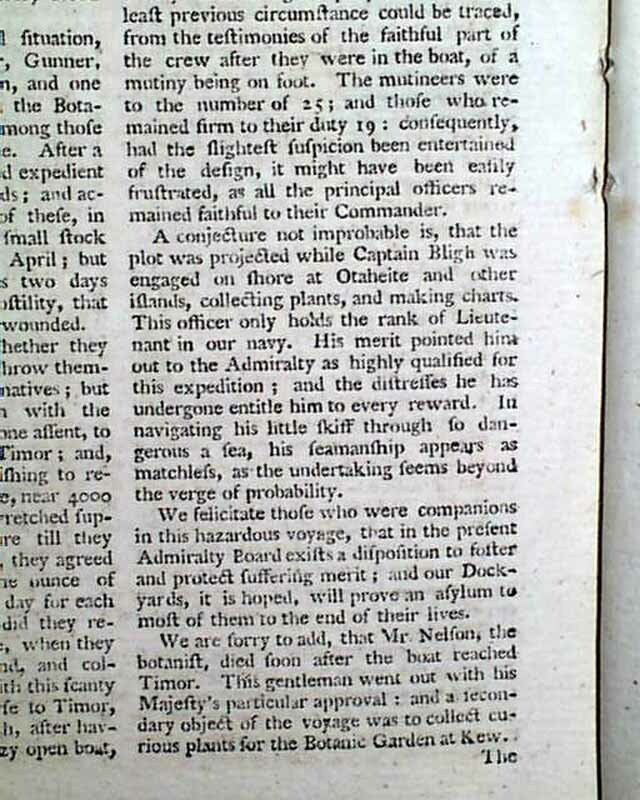 which begins: "The first that attracted the public notice was a mutiny on board the Bounty..." with the detailed, carrying over to the next page, with mention of Captain Bligh, Fletcher Christian, & others, with the actual account of the mutiny (see). 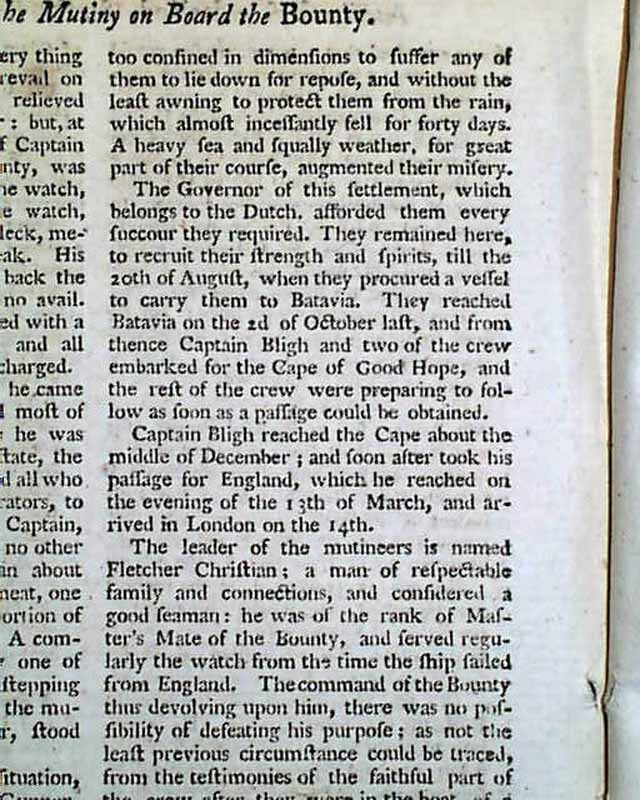 A fine, period account and great to have in a British publication. 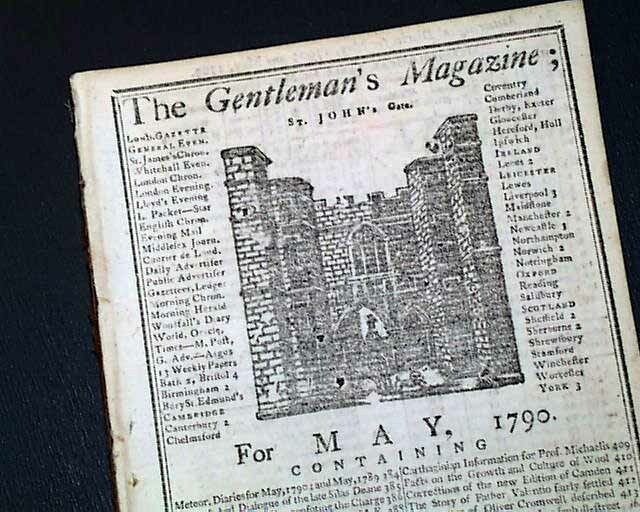 Complete in 100 pages with the full title/contents page featuring an engraving of St. John's Gate. 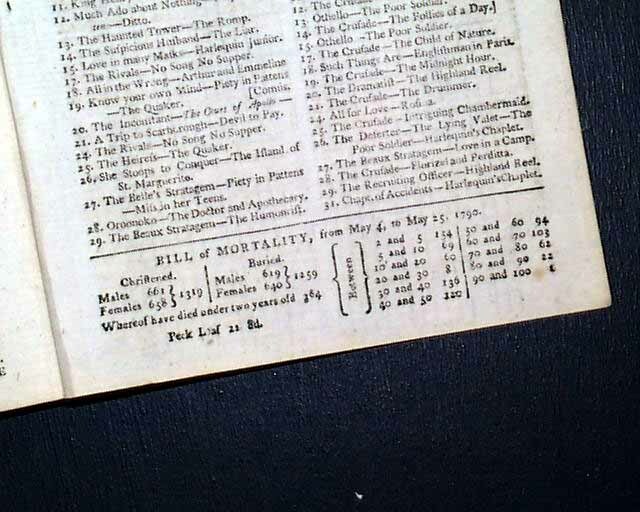 It is in very good condition (see images).